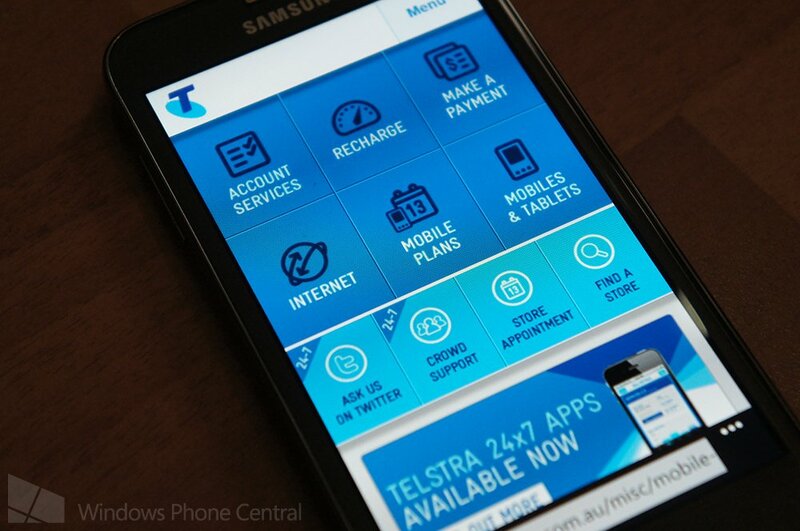 It has been reported that Telstra is well on the way to releasing a Windows Phone app for subscribers in Australia. The mobile operator's 24x7 app is a portal for consumers to access account management conveniently from a smartphone while on the move. Paying bills, viewing usage, checking remaining account credit and locating nearest Telstra stores are just a handful of features sported by the iOS and Android versions. "I’d like to thank you for your note and I am pleased to let you know that a windows version of our popular 24×7 app is already planned. We are about to commence its development and whilst release dates are hard to predict with accuracy, we expect to have this app in the market by June this year. I thank you very much for being a Telstra customer and I appreciate your passion for the Windows phone range." "Windows Phone is an important platform for us. We already provide customers with a Windows Phone TelstraOne app (recently updated) and we’re investigating the development of a 24×7 app so that customers can easily track their mobile usage. As the customer base for Windows Phone grows we will consider bringing additional Telstra applications to the platform." It's good of Telstra to consider Windows Phone an important platform. While the mobile operator already has a TelstraOne app available on the Windows Phone store, consumers are rightfully demanding an official solution to help with account management. When can we see such an app be released? It's hard to say. Should the CEO be revealing exactly where Telstra is with development, it'll be a good few months to go. Windows Phone is being recognised and the company is certainly considering the possibility of releasing an app. We just need to be a little more patient.